Our preliminary analysis of a small, lightweight FireSat payload shows that the mission is feasible but challenging. Several refinements and iterations on the design have the potential to result in a viable and cost-effective payload concept To illustrate the end point of such a process, we turn our attention to MODIS, a large instrument and a mature design with a fire detection mission. A detailed design for a spacecraft sensor that can automatically detect fires already exists. The MODIS instrument (MODerate-resolution Imaging Spectroradiometer) on the Terra spacecraft has been designed for a comprehensive range of scientific investigations into Earth's atmosphere, oceans, and land use—much more challenging than fundamental requirements for the FireSat mission (therefore, MODIS may be over-designed for the FireSat mission). However, the MODIS instrument represents a mature design and a sophisticated, space-based fire detection system. The features and considerations that drove the MODIS fire detection sensor and data processing algorithms offer an opportunity to inform our broader discussion of FireSat throughout this book. The development of the MODIS sensor for Terra traces its roots to the GOES and NOAA spacecraft, and it represents at least a decade of research and design to improve the performance of the Advanced Very High Resolution Radiometer (AVHRR) flown on die NOAA series of spacecraft The MODIS sensor on Terra is a whiskbroom, electro-optical system. Table 9-18 lists its technical characteristics and specifications. The MODIS instrument includes specific design features to capitalize on the physics of thermal detection of fires. MODIS fire products include detecting the incidence of fire, its location, emitted energy, its ratio of flaring to smoldering, and the area burned (bum scar detection). These products are important for understanding the influence of burning biomass on many atmospheric processes as well as direct and indirect effects on terrestrial ecosystems [Kaufinan and Justice, 1996]. The key innovations for the fire detection algorithms include distinguishing the flaring and smoldering parts of the fire and the automatic algorithms for reporting the progress of fires. Initialization. The algorithm eliminates pixels with potential problems due to clouds or extreme viewing angles. It corrects apparent temperature readings for atmospheric absorption (including water vapor), and estimates die background temperature for pixels containing fire. Fire detection. The algorithm defines fire pixels based on thresholds and temperature differences between readings in the two spectral bands. Correction. It eliminates potential false positive readings due to sun glint and consolidates fire readings from adjacent pixels to eliminate redundant reports. Total emitted energy. It estimates the total energy based on measurements in the 4 pm channel. Smoldering or flaming stage. It estimates the nature of the fire, namely, smoldering, flaming, or a combination of both. The MODIS payload illustrates many of the design features of an automated fire detection system. In the context of the RreSal mission, this example provides a point design that has finalized a series of trade-offs in size, weight, power, resolution, and data rate. Barnes, William L., Thomas S. Pagano, and Vincent V. Salomonson. 1998. "Pre-launch Characteristics of the Moderate Resolution Imaging Spectroradiometer (MODIS) on EOS-AMI." IEEE Transactions in Geoscience and Remote Sensing, vol. 36(4): 1088-1100, July. Bui ten, Henk J. and Jan G.P.W. Clevers, eds. 1996. Land Observation by Remote Sensing: Theory and Applications. The Netherlands: Gordon and Breach Science Publishers. Cantafio, Leopold J., ed. 1989. Space-Based Radar Handbook. Boston, MA: Artech House. Chen, H.S. 1985. Space Remote Sensing Systems, an Introduction. Orlando, FL: Academic Press. Colwell, Robert N., ed. 1983. The Manual of Remote Sensing. Falls Church, VA: American Society and Fhotogrammetry and Sheridan Press. Cruise, A.M., J.A. Bowles, TJ. Patrick and C.V. Goodall. 1998. 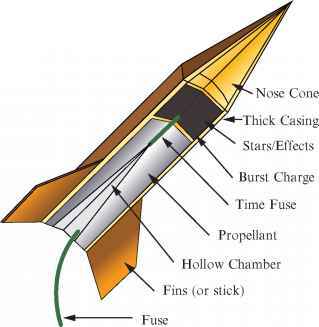 Principles of Space Instrument Design. United Kingdom: Cambridge University Press. The CSTS Alliance (Boeing, General Dynamics, Lockheed, Martin Marietta, McDonnell Douglas, Rockwell). 1994. "The Commercial Space Transportation Study." Report No. SSD94D0034, April. Davies, John K. 1997. Astronomy From Space: The Design and Operation of Orbiting Observation. Chichester, England: John Wiley & Sons. DeBlois, Bruce M. 1997. "Space Sanctuary: A Viable National Strategy." School of Advanced Aerospace Studies Manuscript, Montgomery, AL. Elachi, Charles. 1987. Introduction to the Physics and Techniques of Remote Sensing. New York: John Wiley and Sons. Fleeter, Rick. 1996. "Reducing Spacecraft Cost" Chap. 5 in Reducing Space Mission. Cost, James R. Wertz and Wiley J. Larson, eds. Torrance, CA: Microcosm Press. Glaser, P.E., F.P. Davidson, and KJ. Csigi. 1993. Solar Power Satellites. New York: Ellis Horwood, Ltd.
Hall, R. Cargill. 1995. "The Eisenhower Administration and the Cold War. Framing American Astronautics to Serve National Security." Prologue Quarterly of the National Archives, Vol. 27(1): 59-72, Spring. Herring, David. 1997. NASA's Earth Observing System: EOSAM-1. NASA Goddard Space Flight Center. Hovanessian, S.A. 1988. Introduction to Sensor Systems. Boston: Artech House. Huffman, Robert E. 1992. Atmospheric Ultraviolet Remote Sensing. Boston, MA: Academic Press, Inc.
Kaufman, Yoram and Chris Justice. 1996. "MODIS Fire Products." Algorithm Technical Background Document, ATBD-MODIS-14, Ver. 2.1, Earth Observing System Document ID #2741, NASA Goddard Space Flight Center, December 3. Kidder, S.Q. and T.H. Vonder Haar. 1995. Satellite Meteorology. An Introduction. San Diego: Academic Press. King, Michael D., Yoram I. Kaufman, W. Paul Menzel, and Didier Tanré. 1992. "Remote Sensing of Cloud, Aerosol, and Water Vapor Properties from the Moderate Resolution Imaging Radiometer (MODIS)." IEEE Transactions on Geoscience and Remote Sensing, Vol. 30(1): 2-27, January. Kondo, Y., ed. 1990. Observatories in Earth Orbit and Beyond. Boston: Kluwer Academic Publishers. Kramer, Herbert J. 19%. Observation of the Earth and Its Environment: Survey of Missions and Sensors (Third Edition). Berlin: Springer. Lutz, Reinhold. 1998. "Design Considerations for High Resolution Earth Observation Instruments." Course notes from Technical University, Delft, Toptech Studies Program. McCluney, Ross. 1994. Introduction to Radiometry and Photometry. Boston: Artech House. McDougall, Walter A. 1997. The Heavens and the Earth: A Political History of the Space Age. New York: Basic Books. Meneghini, Robert and Toshiaki Kozu. 1990. Spaceborne Weather Radar. Boston, MA: Artech House. Miller, Lester John and Edward Friedman. 1996. Photonics Rides of Thumb. New York: McGraw-Hill. Morgan, W. L., and G.D. Gordon 1989. Communications Satellite Handbook. New York: John Wiley and Sons. Schnapf, Abraham, ed. 1985. Monitoring Earth's Ocean, Land, and Atmosphere from Space—Sensors, Systems, and Applications. New York: American Institute of Aeronautics and Astronautics, Inc.
Seyrafi, Khalil. 1985. Electro-Optical Systems Analysis. Los Angeles: Electro Optical Research Company. Shishko, Robert and Edward J. Jorgensen. 1996. "Design-to-Cost for Space Missions," Chap. 7 in Reducing Space Mission Cost. James R. Wertz and Wiley J. Larson, eds. Torrance, CA: Microcosm Press and Dordrecht, The Netherlands: Kluwer Academic Publishers. Shott, John Robert. 1997. Remote Sensing: The Image Chain Approach. New York: Oxford University Press. Slater, Philip N. 1980. Remote Sensing: Optics and Optical Systems. Reading, MA: Addison-Wesley Publishing.